Used to loosen the tooth from the periodontal ligament and ease extraction. Root elevators are instruments designed to loosen or remove dental roots, root fragments or teeth. 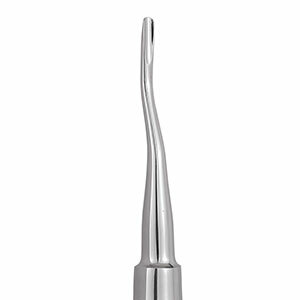 Medical Tools wide range of root elevator are available to suit diffirent teeth, techniques, and locations in the mouth. Handle is made form Non-Magnet stainless steel (never rust) while tip is made from hardened stainless steel last longer.